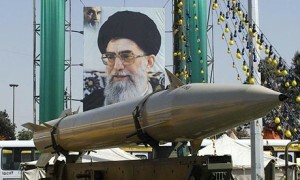 Mahmoud Ahmadinejad’s boast this week that Iran will soon place a satellite in orbit at an altitude of 36,000 kilometers – and Tehran’s claim on Feb. 4 to have sent a monkey into space – highlight Iran’s role in the division of labor Pyongyang and Tehran have achieved in years of collaboration: the former focusing on a nuclear armament and the latter on long-range missile technology to deliver it. Word of the North Korean atomic test reminded US officials of Ahmadinejad’s boast only a couple of days ago about the forthcoming launch of an Iranian satellite into orbit. The two events clearly hang together as probably coordinated between Tehran and Pyongyang. The nuclear threat is not the only unconventional warfare peril looming closer. In Damascus, Syrian rebels are nearer than ever before to crashing through the capital’s last lines of defense. Tuesday, they were only 1.5 kilometers short of the heart of Damascus. Western and Israeli military sources believe that if the Syrian rebels reach this target, the Syrian ruler Bashar Assad will have no qualms about using chemical weapons for the first time in the two-year civil war to save his regime. Both the US and Israel have warned him that doing so would cross a red line. debkafile’s military sources report that Syrian rebel forces, spearheaded by an Al Qaeda-allied Islamist brigade, gained entry Tuesday to the 4th Division’s (Republican Guard) main base in the Adra district of eastern Damascus and are fighting the defenders in hand to hand combat for control of the facility. Other rebel forces are retaking parts of the Damascus ring road in fierce battles, thereby cutting off the Syrian army’s Homs units in the north from their supply lines from the capital. These two rebel thrusts, if completed, would bring the Syrian army closer than ever before to collapse. Assad is therefore expected to use every means at his disposal to cut his enemies down.